The Sofitel Hotel Grand Ballroom was filled to capacity with a majority of the kind of Melburnians who were demonstrably happy to obediently chant the Lord’s Prayer before the anticipated Lord Monckton took to the stage. I was seriously wondering whether I had inadvertently stepped in to the wrong event; climate change skeptic Powerpoint slides to amuse earlycomers- check, Ian Plimer – check, hard uncomfortable chairs – check, but what was with the church-like introduction and the slow moving sea of Christian suited and booted conservatives? I looked about me for further clarification: I could have easily been lured in subconsciously by the free offering of jugs of cold water in the hotel lobby- it was a scorcher of a Melbourne afternoon [enter joke about global warming]. I wallowed in the fact that I hadn’t dressed up at all and was possibly going to obtain footage of some kind of secret meeting and had got in undetected by the hotel security. On the flipside I contemplated that I may have just shelled out $20 for a glass of water and a prayer in the Hotel prayer room facility. “Good Afternoon, almost evening, Gentlemen” it begins. Really?! Have I made it into the ranks of knighthood? Why did nobody else seem to shift uncomfortably in their seats at this omission to address female attendees? As a side contemplation: when do we officially announce Evening? I would have left quietly at this stage if I wasn’t squished betwix two burly suits. I relax once Ian Plimer, famed Australian geologist begins with a general introduction into proven global warmings and coolings- The Little Ice Age, the Medieval Warm Period and our billion years of climate change to set the scene. I look around me once again and silently hope that the man in the grey suit who approaches the podium after the Lords Prayer to excited hand clapping, the 3rd Viscount of Brenchley Christopher Lord Monckton, could be our real hope of exposing the climate change fraud. Gee-wizz, he certainly has the aristocratic ‘zazz. “Correlation need not imply causation”, he begins. The proceeding slide was a dot chart speculating the correlation between the amount of Republican Senators in the US over a period of time against the occurrences of sunspots. The crowd seems to enjoy this pretty amusing start to the talk (and also seemed versed enough in sunspot theory enough to chuckle unhindered by any embarrassing incomprehension).Lord Monckton, eloquent and knowledgeable (and so posh he squeaked) stood to the stand and began to go through some rather complicated looking equations and charts; each PowerPoint slide heralding a Royal Portcullis (see above) positioned aloft dot charts and eugenicist-laden quotes by Al Gore (where he most cleverly substituted the word “lie” for “lay” as some kind of archaic pop at the American accent) or some equally nasty fellow affiliated with the UN, Greenpeace or the WWF. A powerful argument against the ETS proposals is the hindering of Third World development. As most of us will already know, areas of the Third World which would traditionally be used for growing crops to feed the population are now being converted into areas generating “Biofuels”. Haiti, Lord Monckton points out, was one of the areas this happened most prominently. By limiting the available land for producing foodstuffs, clearly food prices go up, food becomes a ‘weapon’ [the UN has put out dozens of public documents calling for an 80% world population reduction. Catherine Bertini, the head of the UN food programs in 1995, paraphrased the famous Kissinger statement, “Food is power. We use it to change behavior.“]. The African Energy Cycle diagram, though crudely simple [why did he simplify and skim over worded slides and dwell on equations and fractal diagrams that only a Mathematics graduate would understand?] portrayed that the basic ‘Source, Transmission and Use’ system of generating power that will be destroyed under an ETS system and thus holding back the Third World in terms of self sufficiency and imported food reliance [so what is new?]. Lord Monckton did provide me with a lovely new fact about our friend Al Gore which I think everybody should know. 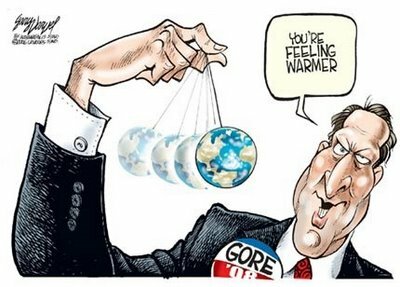 It is alleged that during the filming of An Inconvenient Truth Señor Gore purchased a $4m condo in St Regis CA, only feet from the sea(a particular area he proposed would be under the sea)! In the UK, where they have implemented an ETS scheme already, Monckton suggested that industry is shifting overseas to China or India (who will not sign any form of ETS) destroying jobs, the economy, an increased tax bill and, yes [shock horror] a larger carbon footprint. China, it is suggested, are not going to be signing any agreement and have increased coal power plants by 1 or 2 per week. The Chairman of the IPCC owns a steel industry in Redcar, England, moved to India (the Chairman’s birth country) losing approximately 1700 UK jobs but gaining some elusive Carbon Credits for doing such a grand job of weakening the UK in the numerous aforementioned ways [ for the greener good, of course]. The cost of Climate Change Policy, he goes on, producing a simple bar chart of how much is being spent on such ETS schemes and policies so far. Focused Adaptation he says is the answer: Paying the charge at the point [‘of sale’] and not in taxes. … And no democratic provisions he declares! Did anyone versed in NWO literature believe there would be?! Australia is not a democracy- the two party system as it is elsewhere in the western world is a fraud, funded by the same people. He started with “Global warming has been going on for 300 years” but now there has been “no global warming for a decade”. The IPCC declared in 1990 until 1995 that any warming on the planet could not be attributable to anthropogenic causes. The in 1995, one man suggested that the body of evidence now points to a discernable human influence on global climate. They go on in 1995 to stipulate that there is a 90% probability of human influence on the climate. Monckton mocks the IPCC stating that their ‘scientific methods’ are comparable to the talk attendees putting their hands up and the board taking that as scientific fact. Although he makes a valid point- you simply can’t stipulate a probability based on data such as the possibility of human activity. So, we are told- in the end- we cannot actually predict the climate anyway; that sun spot theory, cloud cover theory, other pollutants, manipulated data, having BBQ’s beneath temperature gauges in the US, fractal equations and the NWO all confuse the picture [snigger]. So what does he call for? A Royal Commission investigation into the ‘facts’! Thunderous applause from around me. During the hasty Q and A section, a man questioned Monckton’s “cherry picking” of data from the IPCC and failure to acknowledge other aspects of the IPCC reports was threatened with removal from the vicinity if he did not let the Viscount speak! I found the over-reaction (it happened twice) to people questioning the ‘truth’ portrayed in the talk astonishing. Is this the democracy you speak of? How we would would throw our hands up if this happened at an Al Gore talk! The talk was in my opinion rather disjointed, complicated where it needn’t be and simplified where it shouldn’t have been. It also, in my opinion failed to provide any new listeners to our argument with the overarching real picture of the political framework the ETS really is set in. The IPCC have already been shown to have lied- the story is out there. The attempts to implement World Government in Copenhagen should have taken a few more slides. I ask you Lord Monckton: what is your agenda? Why did you choose a Maltese Cross to put behind you for no reason other than to speculate hypothetically what an equation would look like (the equation was a Mandelbrot fractal) – I wished my camera caught the moment more effectively, I would have posted it. A lot of people will have attended the talk and enjoyed the pompous humour and religious, conservative hoo-rah [and free cooled water in stemmed glassware]. I pray [in an unreligious way] that Lord Monckton is our man to bring it to the public knowledge that Global Warming is a fraud, that the Climategate emails do question everything we think we know about science ‘fact’, that scientists at that level are paid to manipulate data for political means and that an investigation [preferably not a Monarch-funded one] should be demanded. I also think there is a new danger in that the boundaries between the big ‘climate change debate’ and general environmental concerns have been blurred: To be against a ETS or a Cap and Trade Scheme does not make a person ‘anti-environment’. I would surmise that having knowing the facts surrounding the history of this manufactured environmental movement, which stinks of the eugenics ideology if you look further back enough means you see the bigger picture, care about the Third World and care about the potential to cripple ourselves by propping up a green flag we know nothing at all about apart from that in our society it looks good to support the cause. I urge every supporter of such ‘action’ groups as the WWF and Greenpeace to look into the group’s history, their facts and leaders. I also ask myself- does it matter if he exposes at least part of the NWO agenda? “Quid Est Vertitas [Tintoretto]” he declared fervently, using an old painting of the questioning by Pontius Pilate as a visual prop (cleverly providing the Christian majority in the crowd with a moral reference point). A few nodding, questioning heads and I’m sure some angsty clenched fists in laps. Where do we go from here? Is it as simple as “No taxation without verification”? In which case, I want out. Late Night Musings: The Distraction of Politics. Nobody wants to admit their infallibility. Humanity’s inferiority complex has seemingly haunted every aspect of modern society within the last 100 years, particularly it has been said, with the invention of (but really the clever integration of) Psycho-analysis, Sociology and Public relations. Edward Bernays, the ‘founder’ of the Public Relations machine that has formed the backbone of our consumerist society (calling it “Propaganda” was, as he has admitted himself, “too obvious”…) [See ‘Century of The Self‘- By Adam Curtis]. Our wants are now our needs. How have we got it all so wrong? Why is a lack of this ‘wealth’ we call money [adorned with freakish satanic/bloodline/illuminati symbolism] really poverty? Why is possessing more of it give us strength? 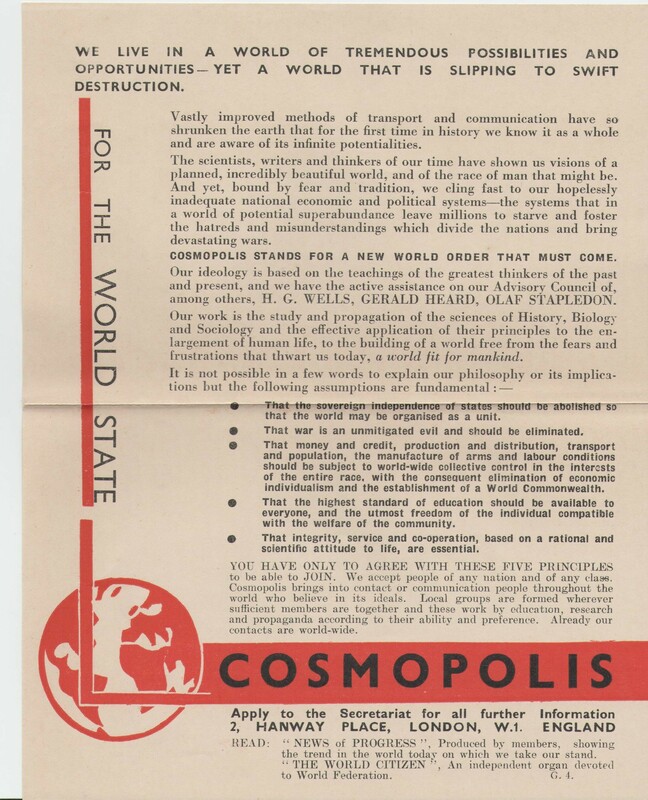 An image of a ‘utopia’ [I keep going back to a wonderful book, The Faber Book of Utopias which has some wonderful Utopian ponderings of well-known philosophers and authors; extracts and essays from history dating back as far as 800BC to the present day- I recommend to all] is not easy to fabricate in one’s mind amidst the ‘truth seeking’ mantra of what is bad; what is doom, gloom and [KA]boom. Where do we take our learned politics? Venus project? (see pic below) What about right now? In the life that we are living? The world just ticks on by, rotating on it’s axis getting closer to the sun; shooting through space tens of thousands of miles an hour (have found it tricksy to find an exact figure on this one…). The ultimate goal of humanity should be to search for the truth; for explanation, exploration and, if we are lucky, some form of enlightenment at the end of it. Our manned quests into space have ventured no further than the moon. The MOON! Didn’t we [pretend] we did this back in ’69? It seems ludicrous to me that billions of dollars are spent on defence budgets to effectively wage wars with countries and create destruction everywhere when we don’t (or appear to not) spend much money on space exploration projects! We are all standing on a rotating dusty rock. This life is a charade. It is one big happy smiling confusing annoying show. A World Fiction Show. The government are not the puppets. We are. Such a distraction is the biggest con of all time. Our own spirits are being sold to: told who to trust, who to love, what to desire, what to buy. P.S. Just in case you are planning to end off your membership fee… The address is now an art gallery. Crikey, Fox News are actually reporting a news story worth listening to. Hats off. This one time. I’m sorry, did we miss something? What a frightening moral concept. Dangerous levels of pharmacutical drugs have already infiltrated our water supply and as if fluoride intake wasn’t enough, the good people pulling the strings in society want us to become even more docile and reluctant to fight back by mass ‘medication’ [if you can call it that]. How obvious does it all need to be before every person wakes up to the attempts of the NWO mongers to supress us and enslave us and kill us. Lithium not only makes you docile but makes you ‘happy docile’ which has even more of a disasterous potential for the human population. Happy smiling slaves. It sickens me. The amount of lithium in the human body is approximately 7 mg. Lithium has no known biological use, and it is not readily absorbed by the body. Most lithium is excreted directly upon uptake. Although lithium is not an essential element, it may influence metabolism. Upon oral intake lithium is mildly toxic. Physical tolerance differs between individuals. In the 1940s some patients that applied lithium chloride as a salts replacement died. Lithium carbonate is applied in psychiatry in doses pretty close to the maximum intake level. At 10 mg/L of blood one is mildly poisoned, at 15 mg/L one experiences confusion and speech impairment, and at 20 mg/L there is a risk of lethality. Coming in contact with lithium, like other alkali metals, leads to internal blistering. I’m so happy. Cause today I found my friends. They’re in my head. I’m so ugly. But that’s ok.
‘Cause so are you. We’ve broke our mirrors. And I’m not scared. Light my candles. In a daze cause I’ve found god. I’m to blame for all I’ve heard. And I’m not sure. I’m so excited. I can’t wait to meet you there. And I don’t care. I’m so horny. But that’s ok. My will is good. Yeah yeah yeah yeah yeah….. I like it. I’m not gonna crack. I miss you. I’m not gonna crack. I love you.I’m not gonna crack. And I’m not scared. Light my candles. In a daze cause I’ve found god. Barack Obama’s top science ‘czar‘ [or ‘Tzar’- the name of the official rulers in Medieval Bulgaria, Russia and Serbia], John Holdren advocate some truly horrific proposals in the 1977 book entitled “Ecoscience“, which he co-authored with Paul Ehrlich and Anne Ehrlich. When reports of Holdren’s book first started to surface, they were quickly dismissed by many because it just seemed so utterly unbelievable that the top science advisor to the president of the United States would hold such frightening ideologies: sterilisation of the population, forced birth control and euthanasia; essentially a Planetary Regime utopia with the power to control life and death over its citizens. The Times report notes how Gore “has a stake in the world’s pre-eminent carbon credit trading market.” As we reported back in March, before he became President Barack Obama also helped fund the profiteers of the carbon taxation program that he is now seeking to implement as law. But it is not just Al Gore’s personal war against climate change. We are seeing this growing movement everywhere, from the eyebrow raising “Eco-Friendly Sustainability” inserts in the Sunday Age [the wonderful Fairfax empire] to the rustic pamphlets sent to me by my energy retailer each month [telling me what CO2 reduction measures they could do for me should I feel guilty about my ‘footprint’ and pay extra: sign up here…] but few people are questioning why. Why now? Cui bono? Some people rarely contemplate beyond the “we have had the hottest summer on record” mantra. Indeed, we are told that climate change is not debateable. Heaven forbid! from what I understand, the fundamental nature of all science is to above all question and investigate and by that measure any person who calls themself a “scientist” who is not ‘skeptical‘ is not in fact a scientist. Should we simply sink back into our chair and wince discretely whenever a discussion on ‘carbon footprints’ arises in dinner party conversation? To be seen as anti-carbon tax, anti-humanity, anti-middle-class “‘we care because it’s the right thing to do for our children”. Quite the opposite actually it seems. Do a little bit of research and we find that this environmentalism, touted as the next religion of humanity has those all too familiar ideologies of the NWO: globalism and eugenics. 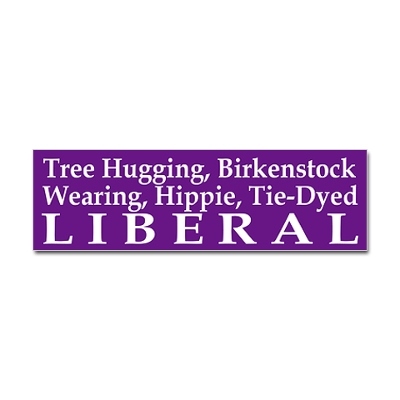 Those liberal Birkenstock wearing environmentalists are being taken for a ride. The United Nations Population Fund has released its annual State of the World Population Report 2009 entitled “Facing a Changing World: Women, Population and Climate”. This report goes farther than any U.N. report before it by unequivocally linking population growth with climate change, and it suggests that the only way to avoid this global climate “disaster” is to increase “family planning” services around the world, reduce fertility rates and encourage families around the world to have less children. Indeed, the terms ‘climate change’, ‘carbon tax’ and ‘reducing emissions’ and the terms ‘over-population’ and ‘population control’ are being uttered frequently in the same [carbon dioxide emitting] breath. Not only did the Club of Rome’s 1972 report, “Limits to Growth” call for a reduced level of consumption of resources, it also argued that humankind needs to re-evaluate its exploitative attitude towards humans and the earth itself. The failure to give more foreign aid is indicative of the increased selfishness of rich countries. Meanwhile, the world’s richest 20 per cent of the population consume 86 per cent of its goods and services, over half its energy and nearly half its meat and fish. The Club of Rome has been the prime mover behind the Global Warming scam, using the scaremongery generated by this highly contentious and emotive issue to gain public support for cutting CO2 emissions. While the world’s most powerful nations continue to increase their carbon footprints on a daily basis, developing countries are forced to plough their fields and turn their mills by wind and solar power alone. The perfect scam. In the book “The First Global Revolution“ (1991) the Club of Rome openly admitted, that the whole green ideology is just an artificial hoax serving as a tool to grab power. With the advent of the leaked Climategate emails [Climategate: the final nail in the coffin of ‘Anthropogenic Global Warming’?] concerning the manipulation of evidence, doubts about whether the world is really heating up, suppression of evidence, fantasies of violence towards climate change skeptics, attempting to disguise the inconvenient truth about the Medival Warm Period (MWP) and discussions on how best to remove dissenting scientist out of the peer review process. In the run up to Copenhagen, we will see more and more hysterical (and grotesquely exaggerated) stories in the mainstream media. Hopefully more and more people will not be suckered into the painfully propagandizing rhetoric and dare to debate the real ‘inconvenient truth’. Emblazoned across the box of Kellogg’s Cocoa Krispies earlier this month (Coco Pops to anyone in the UK or Australia): “Now Helps Support Your Child’s Immunity!“. Hang on! Where is my childhood breakfast time companion Coco the Monkey? And why do Americans get the correct spelling of “Cocoa” and the three brats from Rice Krispies (Crispies?) on the cover instead? Are Americans really more trusting of three young white kids with pixie ears and big scary eyes (the effects of a century of puffed rice laced with high fructose corn syrup) over a spritely brown big-eared monkey? I guess nutritional health claims carry more scientific weight when they’re introduced by magical singing elves Smack, Crack and Pot. Are we naive enough to believe that cereal can increase immunity? Why, a box of cereal certainly works out cheaper than visiting the Doctors nowadays. A chocolatey spoon of puffed rice is also undoubtedly more tasty than a metal needle stabbing you in the upper arm. Why not just include a ‘free’ vial of the H1N1 vaccine (syringes sold separately) so we can all shoot up with a healthy dose of mercury and squalene before we “eat”? It may reduce the need for people to go a-rushin’ to their nearest clinic (amidst the “Oh-my-God-we-are-running-out” shortages and “God-save-us-in-the-scary-pandemic” type alerts). There you go ‘, that’s one from me. Keep it. Use it. Go on. Interestingly, in the same year as our friend Monsieur Kellogg (1852-1945), inventor of the cornflake, began selling cereal commercially (1906), he also founded the Race Betterment Foundation to help stop the “propagation of defectives.” Our Kellogg was also on the Advisory Council of the American Eugenics Society. It seems that Kellogg was convinced that poor dietary and moral habits were leading America down the path of ‘race degeneration’. His solution was eugenics, not merely as a set of policies, but as a quasi-religious ideology. As you do, when you are the business of fashioning flattened flakes of corn. Rice, Sugar, Chocolate (4.5%), Cocoa Powder, Calcium Carbonate, Salt, Malt Flavouring, Flavouring, Niacin, Iron, Vitamin B6, Riboflavin B2, Thiamin B1, Folic Acid, Vitamin B12. “Kellogg’s Krispies cereals provide consumers with 25 percent of their daily value of vitamins A, C, and E, which play an important role in boosting immunity according to peer-reviewed, published, scientific research” says Kellogg’s. In his work Plain Facts, Kellogg even prohibits those with contagious ‘urban’ diseases, such as tuberculosis, and cholera, from marrying and reproducing offspring, essentially targeting immigrants, and those whom he collectively labeled “the lower classes”. According to Kellogg, “a few generations of such a degenerating process would exterminate the [white] race, and drive it back to Darwin’s ancestral ape.” Kellogg even compared the product of miscegenation, “hybrid” humans, with mongrel dogs: “Different varieties or races of the same species may form a fertile union, the result of which is a mongrel — a cross between its two parents, possessing some of the qualities of each. All the varieties of dogs are produced by crossing different races, and so are mongrels. One newspaper said Dr. Kellogg and Dr. Burbank were trying to make the United States into a great stock farm, by breeding for human efficiency. So clearly John Kellogg thought there’s link between a person’s diet and his sexual desires. Could the eugenics ideology of today’s global elite NWO have infiltrated our breakfast options by design?